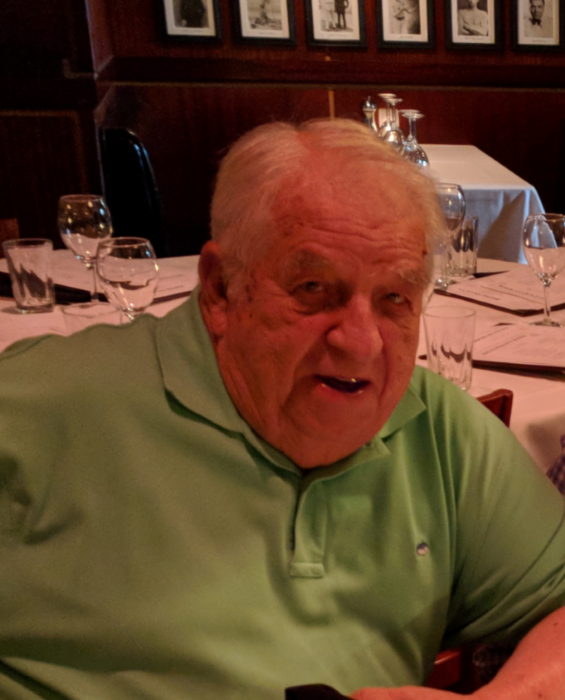 Charles Daniel Hinson, age 86, passed away Monday, April15, 2019.
daughter, Whitney Hinson, both of Rocky Mount; brother, Johnny M. Hinson (Frances) of Kinston; along with several nieces, nephews, great nieces and nephews and many family friends. Charles was a longtime and dedicated member of Englewood Presbyterian Church where he had served as Elder and enjoyed being a part of the Men’s Core Bible Study. He served honorably in the U.S. Army during the Korean War and later retired from Sprint Telephone. Charles’ life will be remembered with a service at 10:00 a.m., Thursday, April 18 at Englewood Presbyterian Church. Burial will follow at Hollywood Cemetery in Farmville. Friends are invited to visit the family 6:00 – 8:00 pm, Wednesday evening, also at the church, and other times at the home.